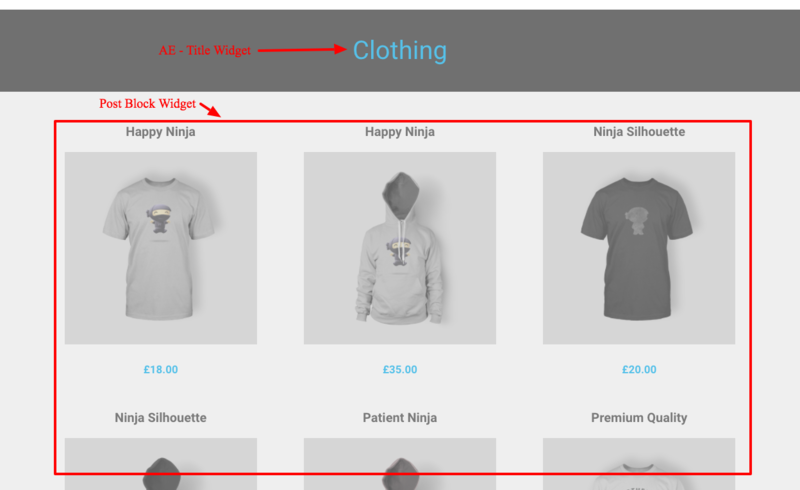 You can design WooCommerce Category Page layout using AE Pro and Elementor. This process is similar to designing a layout for taxonomy archive. Follow the steps below to design WooCommerce Product Category Page layout using Elementor & "AnyWhere Elementor Pro"
Give it a friendly title and do following configurations. Preview Term: Select a product category from the drop-down. This will be used to show preview data. Auto Apply: Check this if you want to make this template Global and apply it to all product categories. Override Theme Layout: This should be checked. 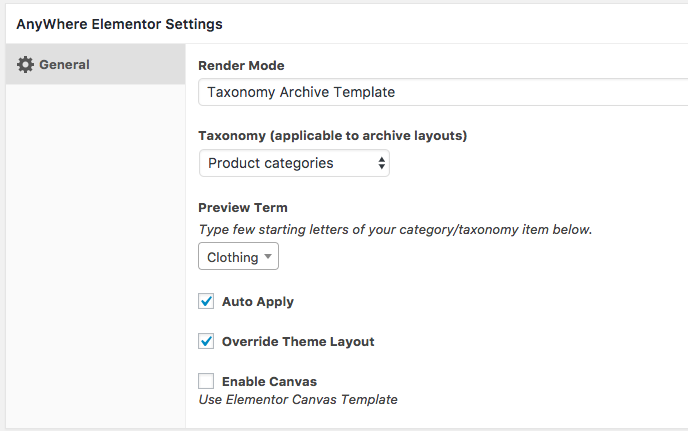 Enable Canvas: Check this only if you want to use Elementor Canvas Template for your product category page. Do the rest of the configuration as per your requirement. Do rest of the settings as per your requirement. Do the rest of the settings for Post Blocks widget as per your requirement. With this, your setup for Category Archive layout is done. Now check your category page to see new layout in action. Preview Post -> Select an existing Product by typing its title. This product will be used to show preview data while creating the layout. 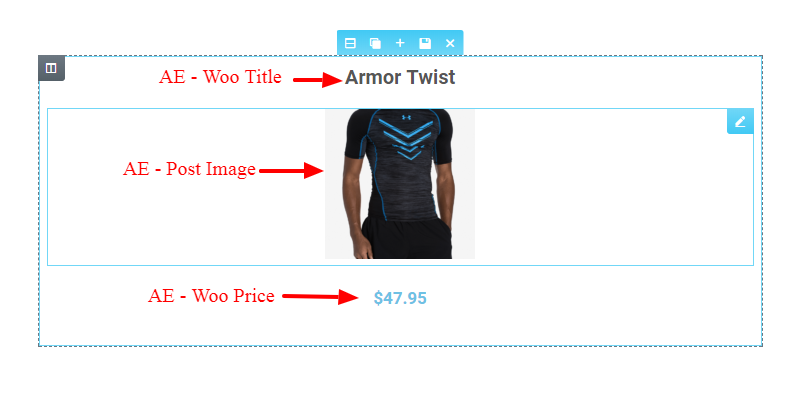 Here you will have to use available AE widgets like Woo Title, Post Image, Woo Price etc to design the layout of a single product. This layout will be repeated by Post Block widget to render Product Grid/List. Design it the way you want and save. 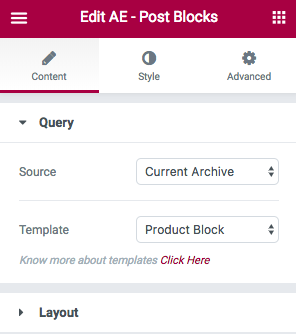 Now this will be available under Template field of Post Block widget.